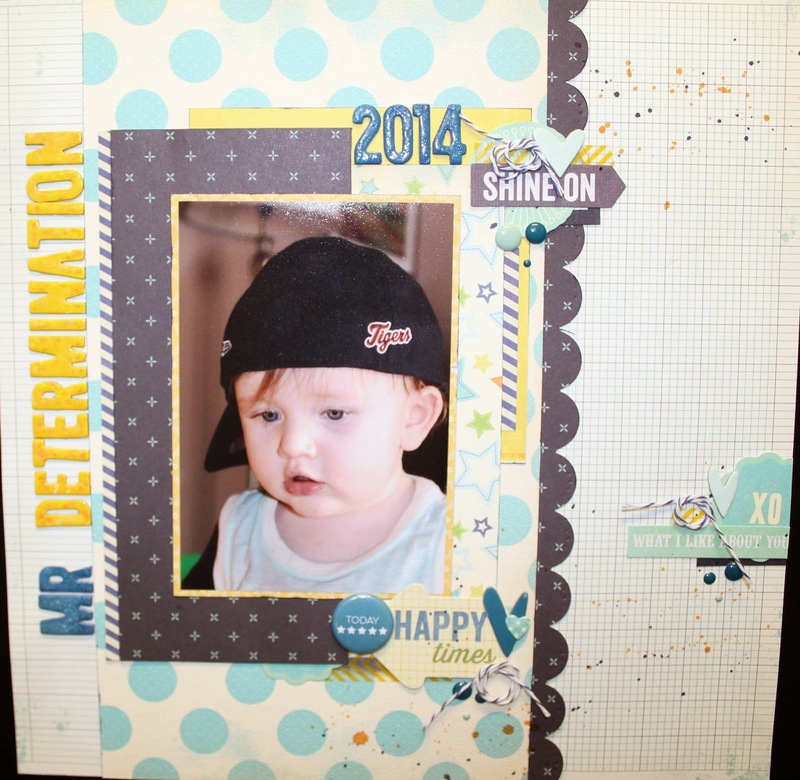 Layout #5 using the May Scraptastic Kits… this is a picture of my Grandson… he is so funny… gets up in the morning and grabs his little ball cap and puts it on… that day we had taught him to hit a ball with his hand, he would not give up until he had it mastered, he was so concentrated… I couldn’t stop laughing cause to him it was serious business. Don't you just love it when kids are so serious about doing something? 🙂 This layout was so fun to watch. I love the layering and the clusters!